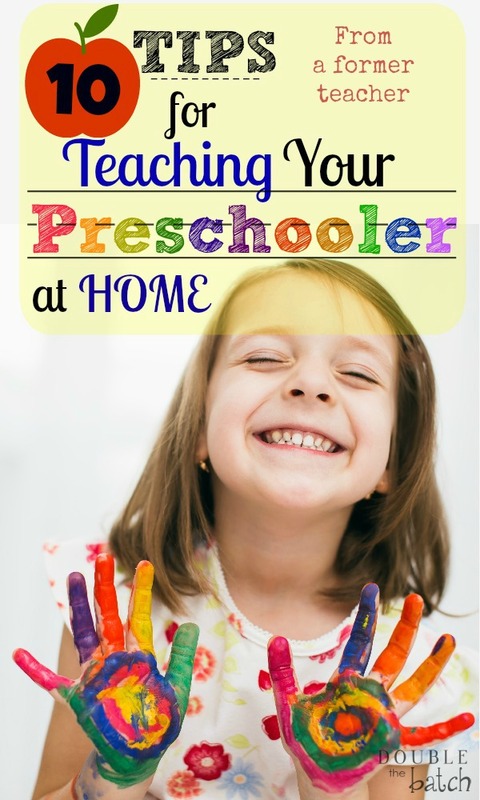 Are you teaching your preschooler at home?? 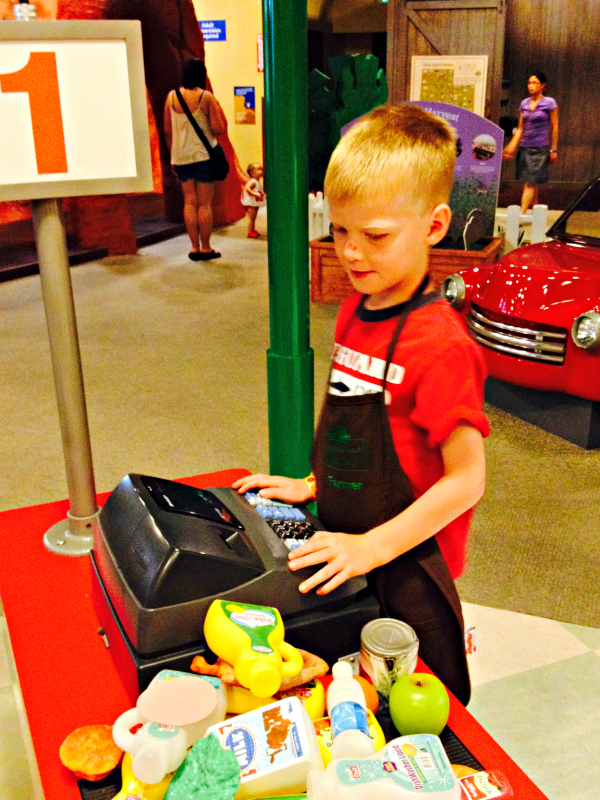 Are you wondering whether to pay for preschool or teach them at home? Both are great options. I was a preschool teacher for 9 years. I loved every minute of it. When I started having my own children, I decided my plate was full enough with my own little kids and stopped teaching. I still look back on those years though and I’m so grateful for everything I learned as it has helped in raising my own children. I want to share 10 tips I used myself as a teacher and now as a parent for teaching your preschooler at home. Enjoy! It’s important that they learn what all the emotions are and that it’s healthy to feel all of them at different times. Almost every behavioral issue that arose in all the classes I taught had an emotional root. Children who had learned to deal with their emotions in a healthy way, had an easier time adjusting in school. If your chid is angry all the time, take a look at their environment and the examples they have to learn from. Give them more opportunities to feel love and express it. The same applies to all emotions. I have a daughter who is barely old enough to go to kindergarten this year but I am holding her back mainly because I think she needs another year to work on her emotions. She is a middle child and came right after my son who was a stressful little toddler. I really feel like she just didn’t get the attention and love from me that she so desperately needed because I was always so worried and stressed about her older brother. 30 years ago this wasn’t as much of a concern because children naturally spent more time outside playing, climbing, running and jumping. Today, regardless of our best efforts, children spend more time inside and more time in their seats at school. Make a conscious effort to teach your child how to skip, hop, do the crab walk, balance, run, dance, etc. In the preschool where I worked we were expected to teach all of our students these skills. It seems like a silly thing and most parents think those skills just come naturally but sometimes they don’t. Anyone who knew me as a teacher, knew how much I loved using music. You can connect to just about any child with music. I used it to teach emotions, I used it to teach letters, to teach math…EVERYTHING! We would play music for clean up time and we sang a different song at snack time every day. Music is so powerful. Children remember the words to songs faster than anything else. If your kids have seen Disney’s Frozen or any other Disney movie for that matter, you know exactly what I’m talking about! If you’re having a hard time teaching your kids a concept or getting them to do something, apply some music and you will be amazed at how much more eager they will be. Greg and Steve Playing Favorites, Greg and Steve Big Fun, Greg and Steve Kids in Action. The Wiggles Sampler, (this one is FREE!) Hot Potatoes! The Best of the Wiggles. One of the first things we would do in our classroom was have the children trace their names. We would use handwriting paper, write their name with a highlighter, then have them trace it. Once they had mastered that, we would have them write their name by themselves, then their last name, then numbers, other letters, etc. Pinch pencil with 1st 2 fingers and rest in on the 3rd. You could also use a dry erase board like this or write their name and any other letters or numbers you want them to learn on a paper. Put that paper into a dry erase sleeve and let them use a dry erase marker to trace it and then reuse it the next day. Learning to write, will also help them to learn how to read faster. The opposite is also true. 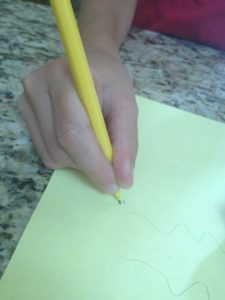 It’s a great idea to teach a child how to write a letter the same day they are learning that letter and it’s sound. Be very patient and praise often. Every child learns at their own pace. I only have one memory from when I was in preschool. Unfortunately it was my teacher getting upset at me because I wasn’t writing a letter correctly. Sad, huh? Create positive and fun memories with your child! Let me start by getting something off my chest. Why does almost every product on the market that teaches children letters use CAPITOLS? Seriously? Think about it, when you read a book, what percentage of the letters are capitalized? I can’t tell you how many kids started the school year knowing only capitol letters. My advice would be to teach your child lower case letters first. Capitols are easy to learn. If they learn the lower case letters, the capitols will come easy after that. It’s also so hard to find a good app that doesn’t use capitols. I’ve found a great one which I will share in my next post. Teach your child one letter at a time, and teach them the sound it makes first. We always started with m, then a, then s and f and t. Then they can spell am, sam, at, fat, mat. As soon as they know enough letters to form a word, start teaching them to put the sounds together to read that word. Make it fun. Make nonsense words. It doesn’t matter, as long as they are learning how to put the sounds together. Do you love using technology to teach your children? Read this post for great ways to teach your child to read using the best apps and websites. Your child will learn how to count by listening to YOU count constantly. You can start when they are very little. When I change my babies diapers, I count snaps, buttons, how many arms, legs, etc. You can count how many bites during feeding time, whenever! When you go to the grocery store, point out how much items cost and then ask them the next time, “How much is that?” “What number is that?’ Make it a part of normal life, but don’t stress them out about it. After all, no one said your kid needed to know algebra by the age of 3, right? I learned to just teach and love during these precious early years, don’t EXPECT. For example, just because you’re neighbor’s kid knows all their numbers and simple addition by age 4, doesn’t mean you should expect your kid to. Children crave love and attention. They just want to know you think they are awesome in everything they do, no matter what the pace. Once again, these are more easily learned at home by just pointing them out and teaching throughout your normal routine. I will tell you that the hardest 2 shapes for most preschoolers to learn are the octagon (8 sides) and the hexagon (6 sides). A stop sign is an octagon, so that one could easily be learned by pointing at it while driving. I liked to cut out all the shapes, (circle, triangle, square, rectangle, oval, diamond, octagon, hexagon, pentagon) color them each a different color, and draw silly faces on them with a sharpie. There are SO many activities you can do with your child to teach fine motor skills, from picking up their cheerios as a baby to now learning how to hold a pencil, or stacking blocks to build a tower. I am also adding links to my favorite toys and activities that I have used over the years. 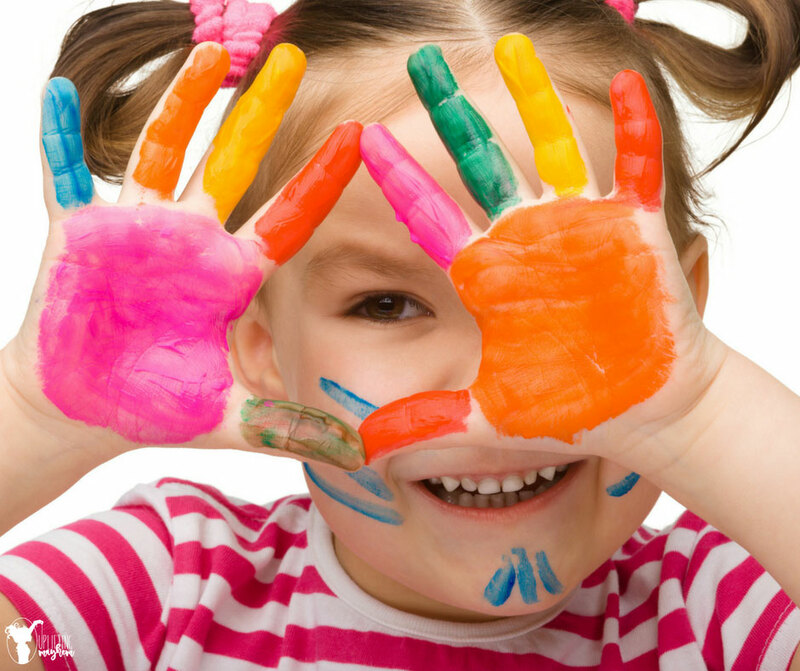 A major portion of preschool is playtime. A lot of parents would ask me why we gave the kids so long to play. Interacting with other children their age, learning how to share, learning how to lead, how to follow, how to be kind, are learned through playing with other children. A child can be absolutely brilliant academically, but if they can’t interact with other kids their own age in a healthy way, it can be detrimental to their learning environment. I once had a 3 yr old boy added to my 4 yr old preschool class. His parents felt he was too smart for the 3 yr old class. I noticed very quickly that they were right about one thing, he was brilliant! I could write ANY word on the board, and later in the day he could write it perfectly from memory. He memorized songs almost instantly and was a numbers whiz. I can honestly say he was probably the smartest kid I ever met. There was a huge problem, though, he could not interact with the other children, nor did he have any desire to try. The parents insisted that he be moved to kindergarten (he was 3!) because of his brilliance and (much to my dismay) the principal allowed it. He was a young principle and I don’t think he thought that one through very well. It ended up being a huge mistake but by the time they realized it, they felt it was too late to then move him back down. Never underestimate how important social interaction is! If your child is having a hard time in this area, try to step in and teach them positive ways to interact with others. If it is still a huge concern, talk to your pediatrician. 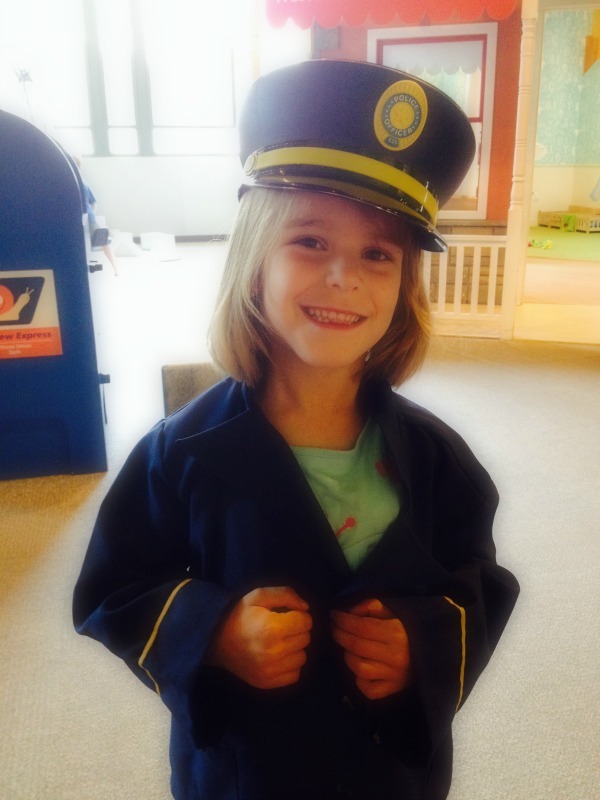 You want them to start school with a love for learning and joy in their sweet little hearts. Everyone loves to learn new things if it’s fun! So, relax, take it one step at a time and have fun!